Thirty years after its launch, in Paris, in July 1985, the intergovernmental research and innovation network EUREKA marked a very special anniversary with a celebratory event in Lugano on 1 July this year, offering a historical perspective of its many achievements, including the €36 billion investment from public and private funds that it has leveraged since its beginnings. The event was also the occasion for the formal handover of the annual EUREKA Chairmanship from Switzerland to Sweden. The Swedish EUREKA Chairmanship will run until the end of June 2016. 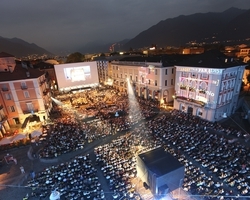 On the occasion of the celebration event in Lugano, a promotional video was released. The video includes testimonials from members of the EUREKA Network, spanning its global presence, and presents examples of innovations originated in EUREKA projects, which have changed the life of people in Europe and beyond over the past 30 years. Following the event, the EUREKA’s 30th Anniversary Report was published. The report takes a detailed look at the history, achievements and future of EUREKA as an intergovernmental organisation focused on mobilising funds and fostering collaboration for the benefit of near-market projects across all fields of civilian technology. The report also takes a look at the development and successes of the EUREKA Clusters, including ITEA and a special mention is made of the ITEA success story project Digital Cinema, led by Barco (2001-2003), which paved the way for a new generation of film distribution.